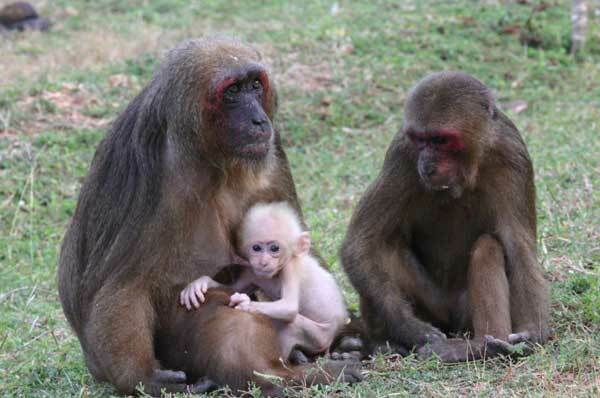 I visited seven sites of three countries in Southeast Asia (Indonesia, Thailand, and Viet Nam) in which wild studies of wild/semi-wild primate has been done, in order to find a good own study site for feeding ecology of the primates, (mainly Cercopithenine). My activity during the survey is as follows. Oct 17-Nov16: I stayed in Indonesia and visited three study sites in Jawa (Pangandaran NP) and Sulawesi (Karenta NR and Tangkoko NR). 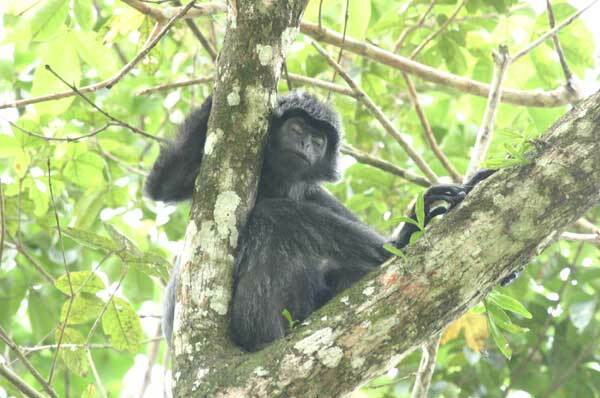 I observed moor macaques, black macaques, Sulawesi tarsier, silver lutung and crab-eating macaques there. Nov 17-30: I stayed in Thailand and visited two study sites (Khao Yai NP and Khao Krapuk NR). 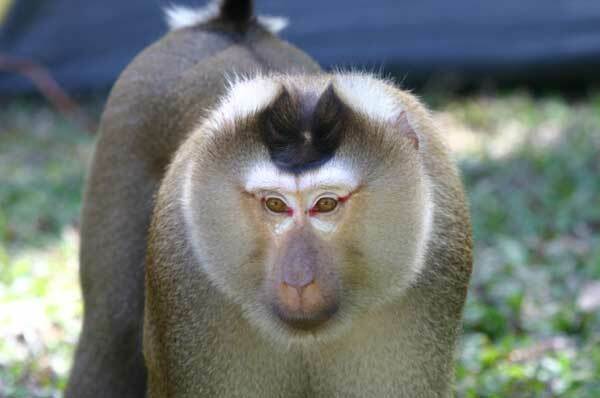 I observed pig-tailed macaques, stump-tailed macaques, and white-handed gibbon there. Dec 1-16: I stayed in Viet Nam and visited two study sites. I tried to find Douc langurs, but because of bad weather and steep topography, I could see them slightly. Besides, on Oct 17, I had a presentation as invited speaker at Manado University, northern Sulawesi.